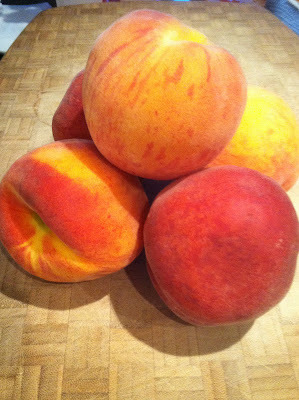 During our trip to the farmers market this morning, it was clear that peach season has arrived! The weather is only getting hotter, so pick up some ripe peaches and enjoy a unique twist on a classic mojito cocktail. Place the peaches in a blender or food processor and process until smooth. Press the puree through a fine sieve into a bowl and discard solids. Combine the lime rind, lime juice, sugar and mint in a large pitcher; crush juice mixture with the back of a long spoon. Add the peach puree and rum, stirring until the sugar dissolves. Stir in club soda and serve over crushed ice. Garnish your cocktail with mint sprigs. These are very fresh and juicy peaches. Peaches are good for health and kidneys so it must be added in diet.